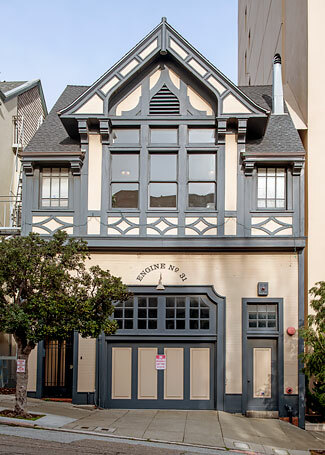 The fifteen-acre Russian Hill Paris Block Architectural District contains eleven contributing buildings and only one intrusion, a detached garage. Although San Francisco Engine Company No. 31 is NRHP Listing #87002290 and San Francisco Landmark 220, it lies just outside the district.